The iOS 9 software update is now available from over the air installations and manually through iTunes with the IPSW files. With the latest software release comes many new features that make it worth getting to know over the past iOS 8 software update. 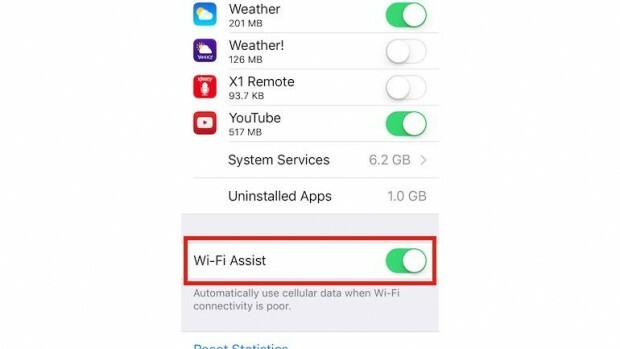 One of the new features you will find after updating to iOS 9 is the ability to enable a WiFi assistant on iPhone. 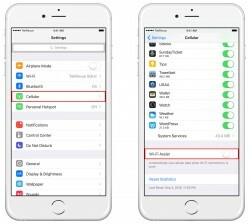 After enabling WiFi assistant on iPhone, you can make the feature switch over from WiFi to cellular data faster in order to improve your connection. Historically speaking, people prefer staying on a WiFi connection when they are available since the data bill from a WiFi connection is less than that from your phone provider. The one exception to that is if you are using a mobile plan and you get data for free. Nevertheless, that data available from a plan is usually capped and most don’t feel safe going near the allocated monthly limited at the risk of running out and additional cost premiums kicking in after it. The only problem with staying on WiFi for as long as possible is that smartphones don’t switch over even when the connection is weak, and that’s a bad thing if you are someone who is thinking about using a stable connection and not so much thinking about your data limits being breached. The new WiFi Assistant feature changes that. With the new WiFi assistant turned on, it will break the WiFi connection sooner when the connections are weak and transfer you over to the data connection from your cellular provider again; thus eliminating the poor network connection. 1. Turn on the iPhone running iOS9 and open the Settings app. 2. Tap your finger over Cellular/Mobile Data. 3. Scroll down to the bottom of the page and toggle the switch for WiFi Assist to the on position. Now that you have flicked the switch, the mobile device will automatically use cellular data when the WiFi connection is weak. Before flicking the switch on the WiFi Assist feature, your device will cling to the WiFi signal and not transfer over to the mobile data. The mobile data and cellular data are referring to the same cause, the different wording is just regionally specific. Over in the US, they refer to it as cellular and other parts of the world like the UK and Australia know it as mobile data. Look for whether your iPhone will say cellular or mobile data to be dependent on your country.